An Bord Pleanala have ruled in favour of granting permission to the RTP Thermoplastic Compunds Facility at Poundlick, Skibbereen. They have gone against the advice of their own inspectors who recommended that permission not be granted. SOS are fully prepared to request a Judicial Review of this planning application and we are currently working with our legal team in preparing our case. 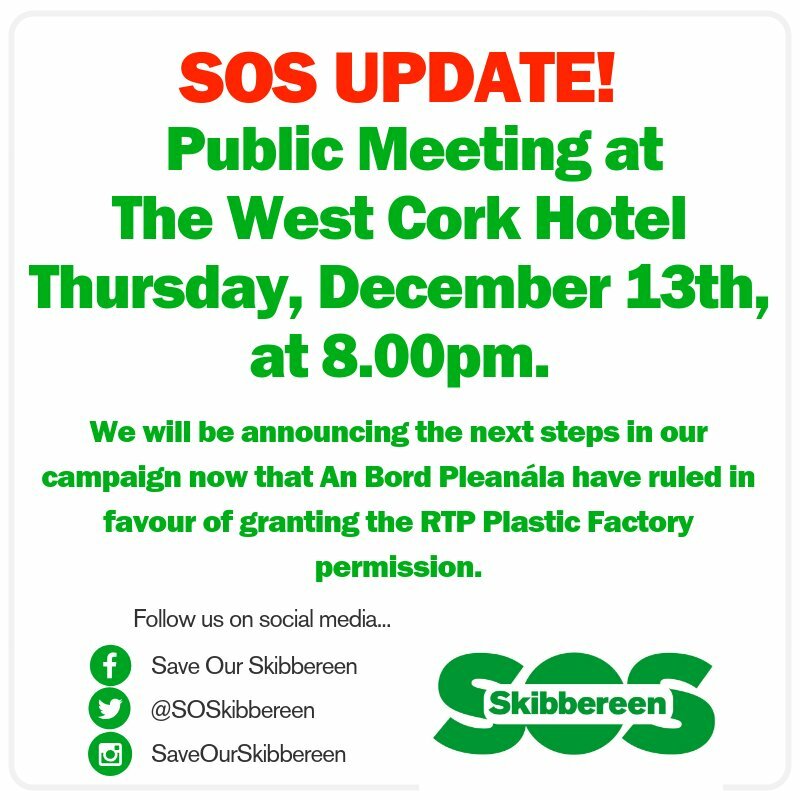 We will be holding an Emergency Public Meeting at The West Cork Hotel on Thursday, December 13th, at 8pm. We will be outlining our campaign strategy to have this decision overturned. We invite everyone in Skibbereen, West Cork and beyond to come to the meeting. We will be giving short presentations on where we are and we will be inviting questions and debate and your support in the coming months. We expected this day and have prepared accordingly.